Good Afternoon Natalie, Thank you for your comments. We greatly appreciate your feedback. We look forward to welcoming you back next time you choose to come to Melbourne. The staff were friendly and helpful and the room was very comfortable. One of the reasons we booked at Alto on Bourke was the green credentials. I was pleased to see these put into action when we stayed. Enjoyable stay as always. We will have to work on staying longer for future stays! I loved the ambience, the staff were phenomenal! The front desk staff were super efficient and helpful. Above all I love the cafe and its staff. I could have easily stayed there all day. Always stay when visiting Melbourne and an never disappointed. Staff are exceptional. Alto was easy to find and close to everything. The accomodation was lovely and clean with a very comfortable bed. Staff were amazing. Thanks for making our stay enjoyable. 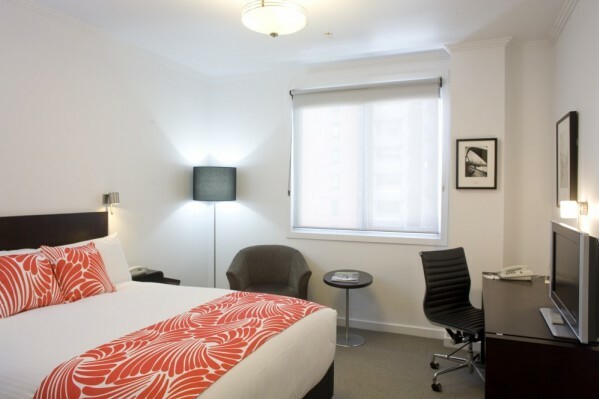 Very happy with accomodation which is so close to where I sometimes work on 570 Bourke and to Southern Cross Station. A great combination of location, comfort, service and price. 2 x 2 bedroom apartments suits our group perfectly every year for a sports orientated catch up. Overall, it was a very pleasant experience. The staff were incredibly lovely and helpful. Without a doubt this was one of the best places we've stayed at with everything exceeding our expectations. Staff in all areas were extremely courteous and helpful. Our apartment was immaculately clean, quiet and well appointed. Our experience in the restaurant was very pleasing with great service and delicious freshly cooked food. We regularly visit Melbourne for work and family reasons so will definitely be staying here again. Thank you for such a refreshingly delightful experience! I was quite surprised with the quality of our stay. Terrific checkin and checkout, the room, facilities, proximity to everything and the kitchen services. Big thank you to the team in the kitchen for accommodating our special request. Overall great value for money. clean and comfortable with fantastic mattress. staff happy to assist. Great hotel - perfect location and comfy bed. Very convenient and i loved the oatmeal at breakfast. Thanks. It was pleasant and comfortable. Nice touch to keep cool water in fridge for guests. The bed was very comfortable. Good convenient location with Spencer St Skybus and free tram rides at door step. Had a wonderful stay - home away from home. Felt safe and welcomed. A peaceful comfy haven in a good location. Great location. Exceeded our expectations in every way. Cannot fault... personalised service much appreciated. Perfect to explore the city. Everything within walking distance. Public transport only 2 minutes away. Extremely friendly and helpful staff. Rooms: everything is very clean. Be aware some of the rooms are having a window which is very near to the next building. Great hotel and one that we stay at on a regular basis.